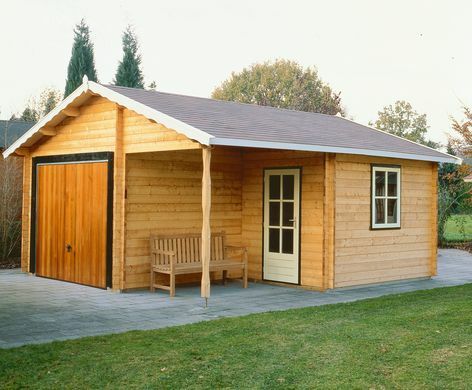 Lugarde timber garages in 44mm pine. 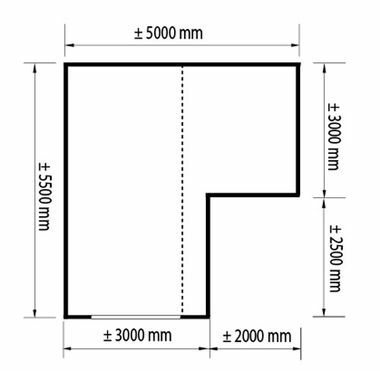 Size approximately 5m x 5.5m in 44mm log thickness. The standard package includes1 top hung window PX37, a single door PX39 and a GD01 up and over door with pressure treated timber.